Greetings! 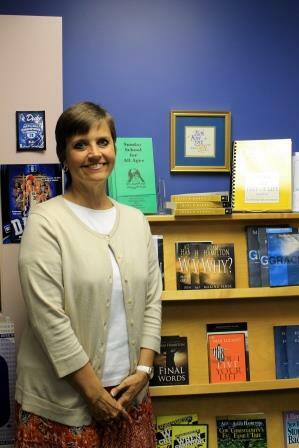 My name is Judy Oguich (pronounced O-gish) and I am currently in my 20th year here at Trinity. My membership in the Virginia Annual Conference is as an ordained deacon and as a certified Director of Christian Education. I am originally from Ohio, and still have family members in Columbus. I received a Bachelor of Arts from Mary Baldwin College in Staunton,Virginia and a Masters of Religious Education from The Divinity School at Duke University in Durham, North Carolina. The greatest blessing of my vocation is that I work with persons of all ages – children, youth, and adults – enabling them to live out their Christian discipleship. I welcome any and all ideas concerning Christian education and programming here at Trinity. I’m excited that we are now able to offer two schedules of Sunday School – 9:30 and 10:45 a.m. Our mission here at Trinity is to “be and make disciples of Jesus Christ.” We do this as we connect, grow, and serve and we invite you to be a part of our journey!